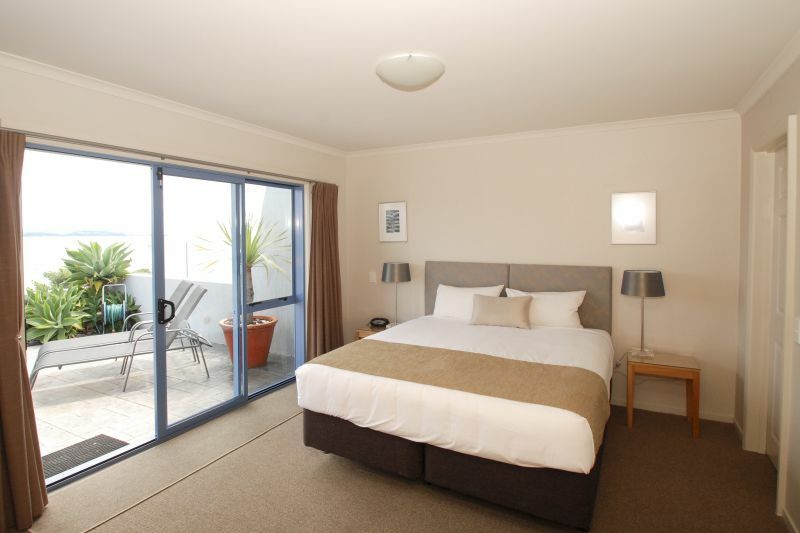 This apartment is on the ground level with a master bedroom on the waterfront with a king size bed. 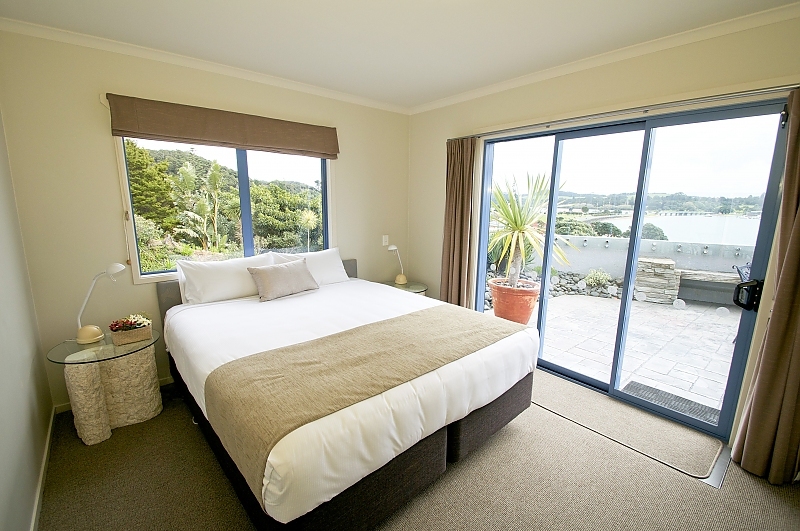 The second bedroom also has a king size bed (or 2 singles) and the third bedroom has 2 single beds. 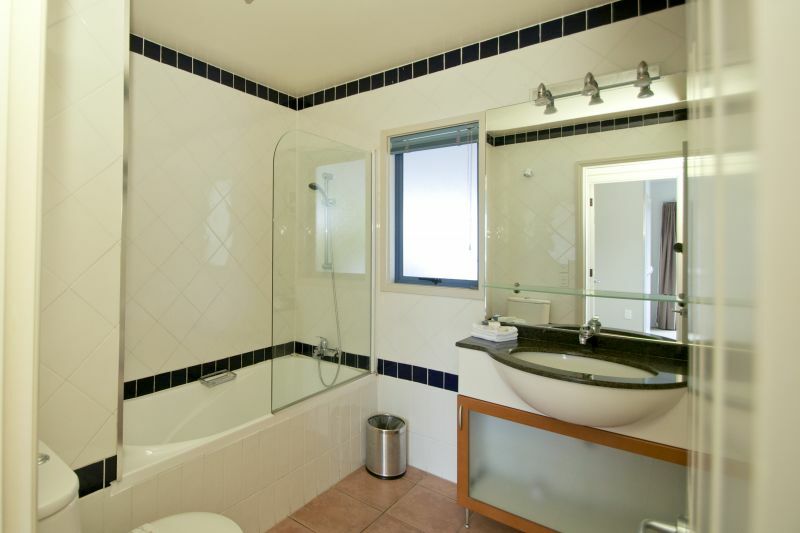 There is a second bathroom with a bath/shower. 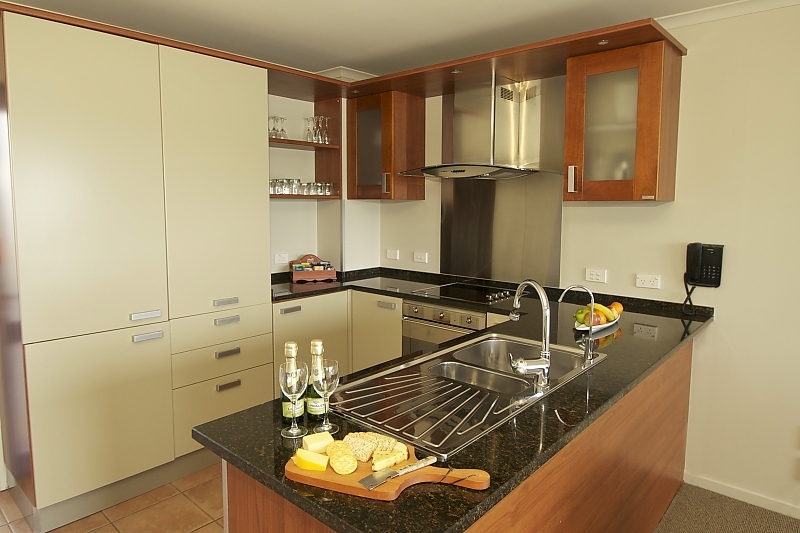 The apartment has a full kitchen with dining area and lounge. 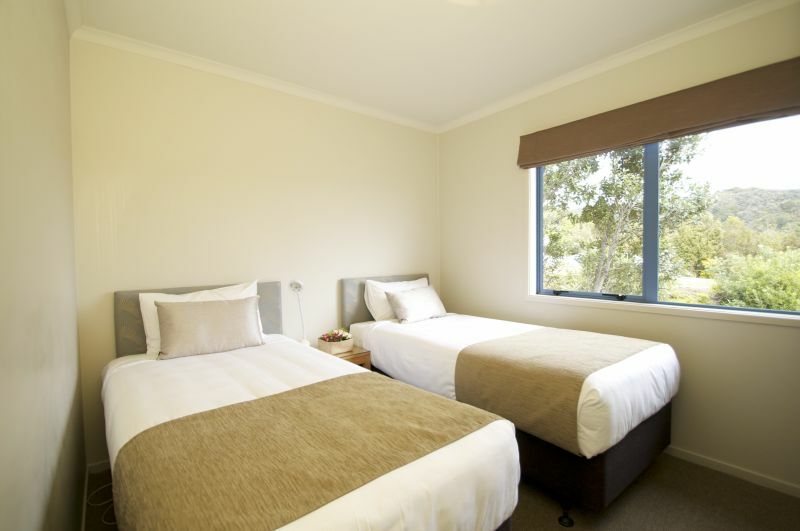 Full laundry facilities are provided. 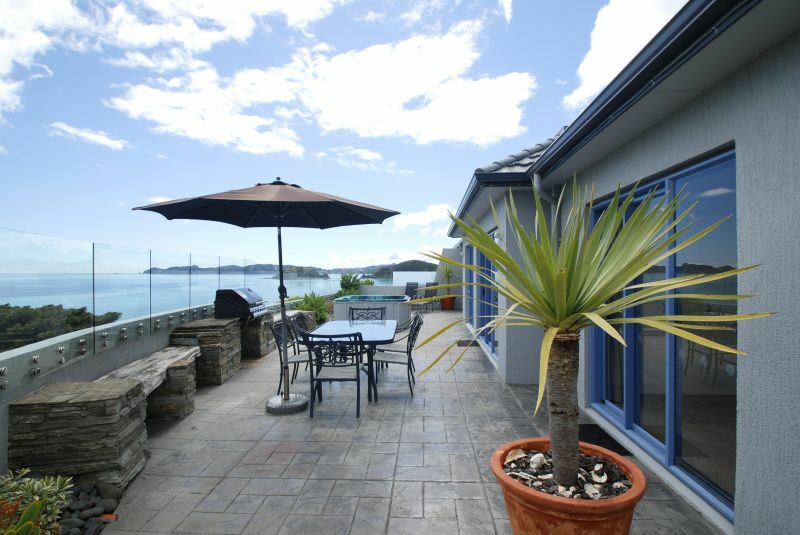 This apartment boasts a very large deck area with a BBQ and outside furniture to seat 6 as well as a 6 person spa pool. 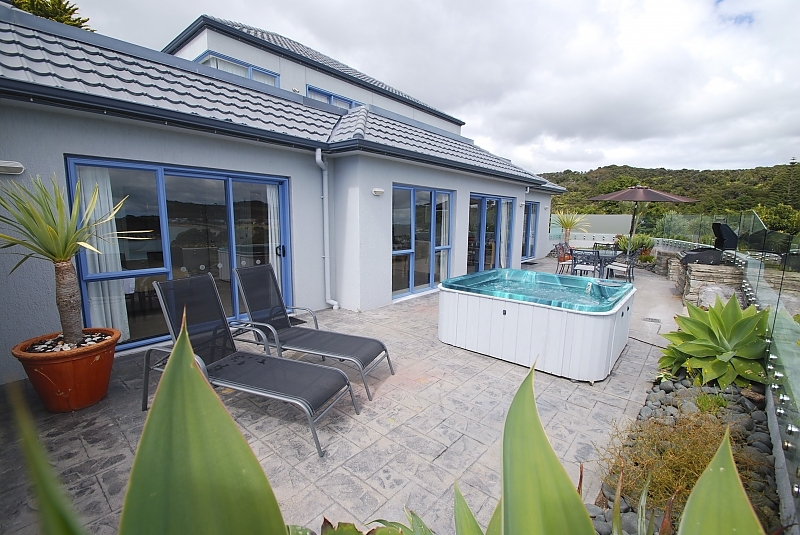 Nestled in an unrivaled setting, this is the place to stay in Paihia! 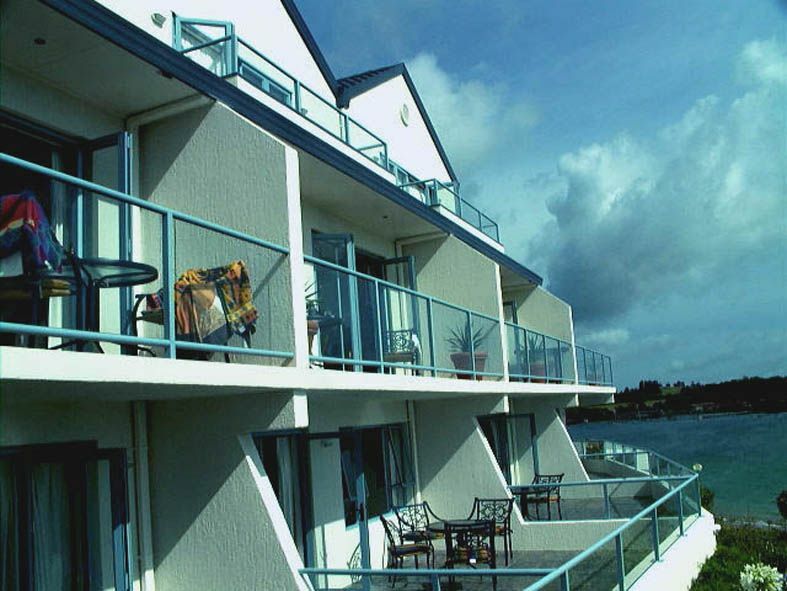 BPQA Apartments is a 4-Star plus beach front property offering a choice of 1, 2 & 3 bedroom, fully self-contained Family styled apartments. 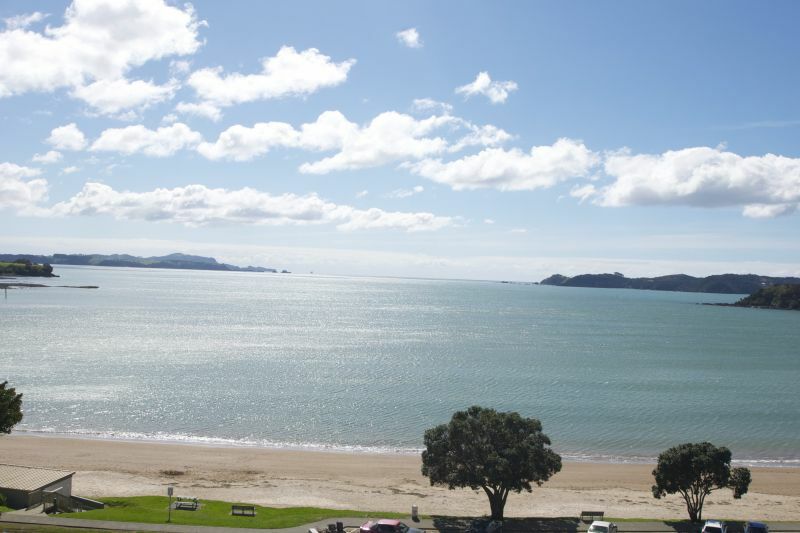 All apartments have breathtaking views of the Bay of Islands, Russell and Waitangi and only minutes' walk from Paihia Township. 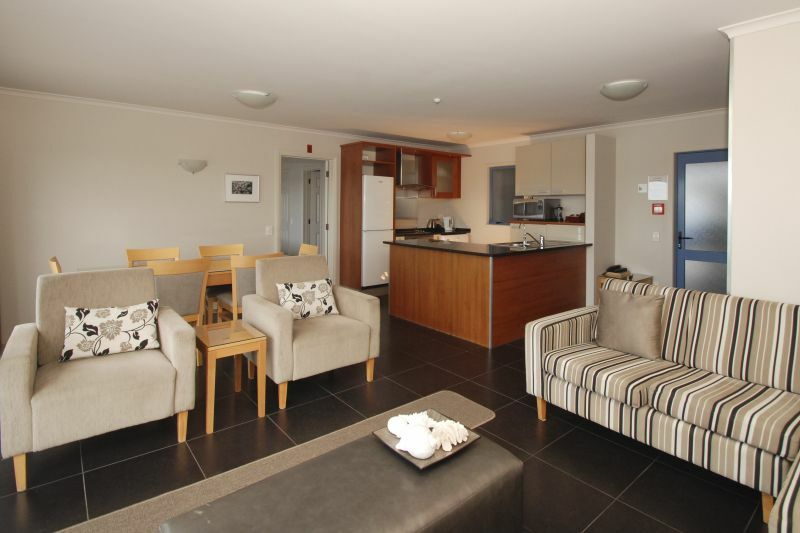 The Apartments are superbly appointed and have MY-Sky on flat screen TV's,and free Wi-Fi. 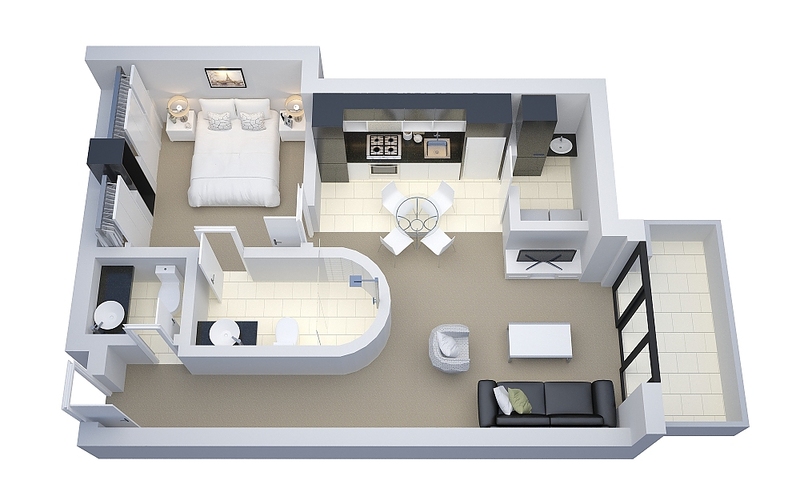 All 1, 2 & 3 bedroom apartments have full kitchens with microwave, fridge/freezer and dishwasher and all come equipped with their own washer/dryer and patio area with outdoor furniture and barbecue. 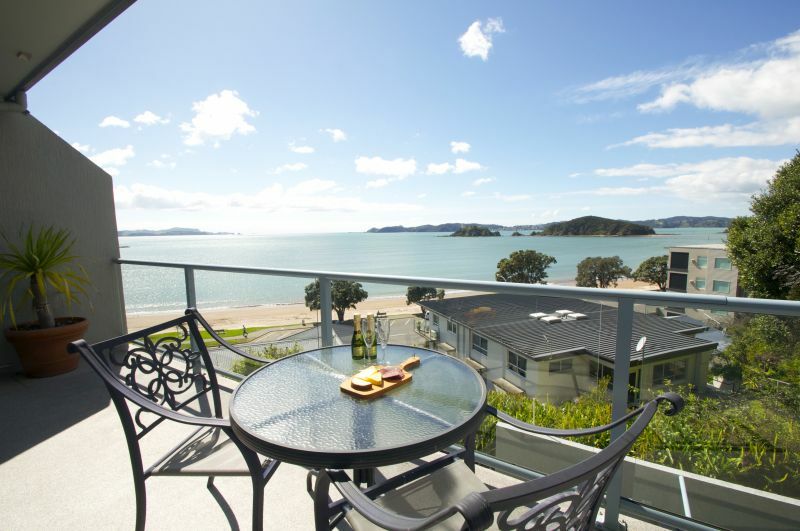 Suited to couples and families, we are positioned opposite the tranquil Ti Beach and only minutes' walk to the Paihia shops and restaurants. 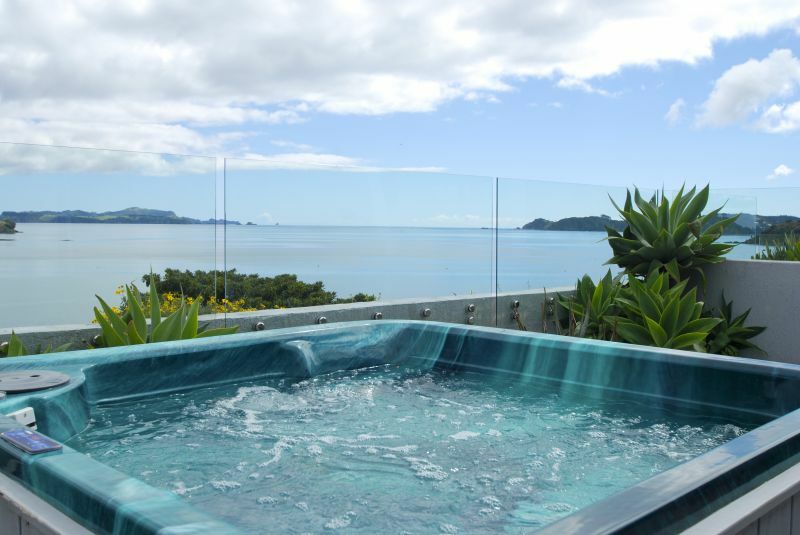 You can enjoy great golf, fishing, diving, jet skiing, sailing and scenic cruises around the Islands or for those who wish to stay on land there are a selection of coastal and bush walks, or you can just relax and soak up the stunning view from your deck.